The most unique doorbell ever! 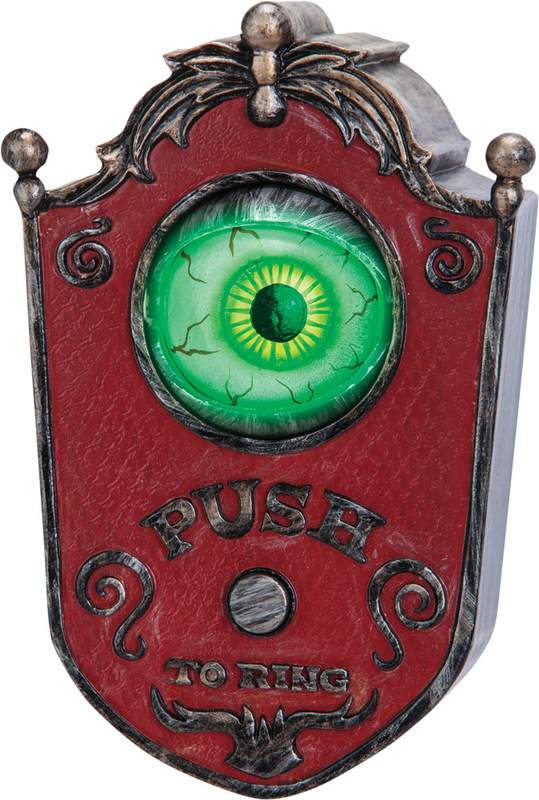 Just activate by pushing the button and the eyeball rolls around and it emits strange sounds! Your guests will scream! Requires 3 AA batteries, not included. Made of Plastic,50%; Mechanism,45%; Metal,5%. Measures approximately 7 inches tall, 3 inches deep, and 4 inches wide.